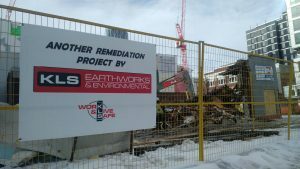 KLS was awarded the decommissioning, demolition and remediation of a vintage gas station site in Calgary’s East Village. The site was an active fuel and service station for over 60 years. Its location in a busy, urban environment brings many project challenges including access to the site. 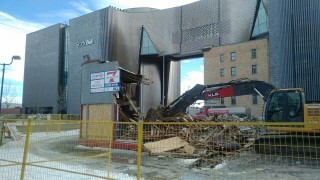 KLS has already safely completed the demolition including the propane tank and UST removal. 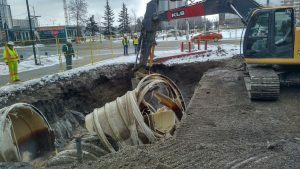 We are currently working on the soil remediation component of the project. The impacted soil being removed from site is being transported to a Class II landfill. Once the remediation is complete, KLS will back fill and grade the site using recycled asphalt and turn it back over to CMLC.